A powerful antioxidant, effective against viruses, fungi, parasites and bacteria. 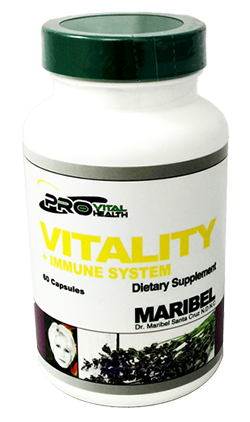 Vitality has a high antioxidant power. It contains more than thirty antioxidants, which makes it a strong ally in the fight against free radicals and its effect on the body, helping in turn the immune reaction. It is a very effective nutritional support to combat bacteria, fungi, parasites and viruses. Helps ease menses and relieve indigestion, spasms, colic, bloating, flatulence, excess gas, and kidney problems. It also constitutes important nutritional support in the treatment of problems in the bronchi, laryngitis, whooping cough, headaches, and inflammation of the glands. Its nutrients help strengthen the immune system and vascular walls, and manage to reach the brain cells.